1. What should I do after an accident? A. Call the Police. Get the name of the person(s) driving the other vehicle(s) involved along with their phone number, driver’s license, vehicle license, insurance information. Also try to obtain any witness’ name and number. Note the location, time and date. And, if you have a camera, take pictures. IMPORTANT: If the person(s) driving the vehicle(s) involved is unwilling to provide this information or if they do not have a driver’s license and insurance, then you have a problem, and you should notify the police and your insurance agent immediately. 3) No criminal violations have occurred such as DWI, Hit and Run, or the threat/act of violence. Contact the Insurance Company responsible and let them know where the vehicle is and/or where it is going and ask for a claim number. If the Insurance Company wants to examine your vehicle at your house or in their claims center, you have the choice of doing this, or you can inform the Insurance Company that you are dropping the vehicle at the shop of your choice, and they can see the vehicle there. Remember, you’re free to choose. Call the shop and give them the claim number. From this point on, the shop will negotiate on your behalf to insure that your vehicle will be returned to pre-loss condition. 2. Do you work with my particular insurance company? A. Yes. We work with all insurance companies. We know their adjusters and their processes. You can take advantage of our existing relationships within the insurance industry; we will be your best advocate in the repair process. 3. What if damage is found during the repair that is not on the original estimate? A. This is very common. The body shop will contact the insurance company and obtain authorization to pay for all supplemental damages. 4. What should I look for when choosing a repair facility? A. People you trust, well trained, certified technicians, and a repair shop that guarantees its work. 5. Do I have to take my vehicle where my insurance company refers me to? A. No, according to Arkansas state law you are free to choose which body repair shop you use. It’s your car, your choice! 6. Do I need an estimate (or multiple estimates) first? A. No, we do free estimates! A. 7:30a-5:30p Monday thru Friday. 8. What information should I bring to the shop? A. The name of your insurance company & adjuster’s name if you know it. The claim number and the estimate from the insurance company if you have received one. From there let us handle the hassle! 9. Where do I get a claim number? A. Claim numbers are issued by the insurance company at the time you report your accident. 10. Do I have to pay a deductible? A. That depends on your individual insurance policy. If you aren’t sure about your deductible, ask your agent. He or she will tell you whether you will be responsible to pay your deductible when you pick up the vehicle and the amount of your deductible. 11. When do I pay my deductible? A. When your repairs have been completed & after we do a walk around together. 12. What if I need Body Shop & Service repairs to my vehicle? A. That’s not a problem at all. We can work together to make arrangements for service repair work. 13. How can I get a rental car? A. Most insurance companies will make a reservation for you. If not we can help you obtain a rental vehicle. If your vehicle is unsafe to drive it is imperative to get you out of it as soon as possible. If you are unsure about your vehicle’s safety, please either bring your vehicle by or email us photos at gregs@harryrobinson.com. Your insurance company will explain to you who will pay for your rental based on the circumstances of your accident. Who pays for the rental is dependent upon several variables, but Arkansas State Law dictates that the person at fault is responsible for a rental. Keep in mind though there are other variables such as uninsured & comprehensive accidents to consider. 14. If my vehicle’s frame is damaged is it a total loss? A. Not necessarily. A car is deemed a total loss only when the price of repairs exceeds the insurance company’s determined value of your vehicle. Most cars today are built using unibody (frame and body as one) construction. Our highly skilled technicians, with the aid of our state-of the-art computer measuring system, can return your vehicle to its original factory specifications. If it is determined that the frame section is bent beyond repair, that section can simply be replaced. 15. What does it mean if my vehicle is a total loss? A. It means that it would not be cost effective to fix the vehicle. The cost of the repairs is more than the determined value of your vehicle. 16. 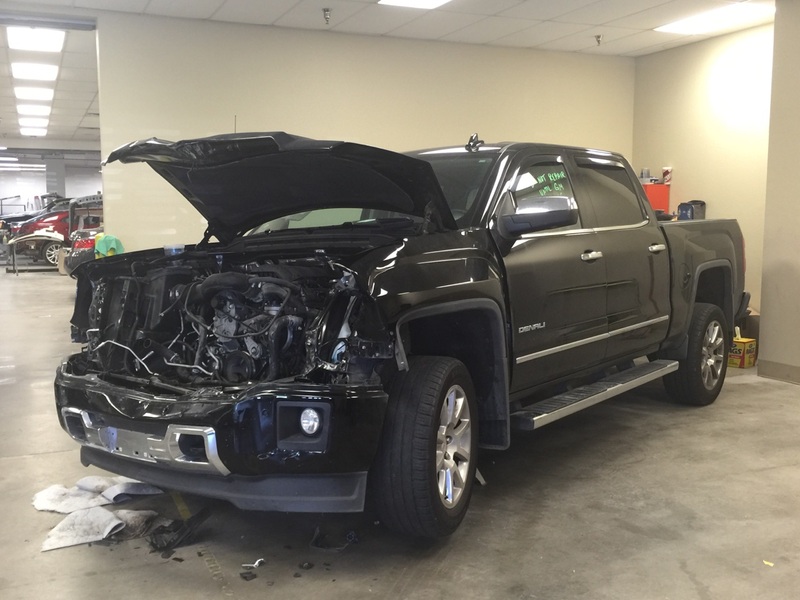 What happens when my vehicle is deemed a total loss? A. Someone from your insurance company will contact you in order to pay you the amount they have valued your vehicle. 17. What are betterment charges? A. Parts that wear out and need replacement with time and use (i.e., tires, batteries, and suspension parts) are commonly subject to betterment charges when they are replaced during the repair process. These betterment charges are determined by your insurance company and are pro-rated based on actual miles on your vehicle. 18. After I pick up my vehicle, do I need to take any precautions with the new paint? A. Cash, Check & Major Credit Cards. We also have an interest deferred credit program for our customers. 20. Is there a warranty on the repairs to my vehicle? If so, how do I file it if necessary & what is not covered? A. We guarantee our paint repairs for as long as you own your vehicle, and our parts & mechanical repairs for 1 year. To file a claim just return your vehicle to the Harry Robinson Collision Center. 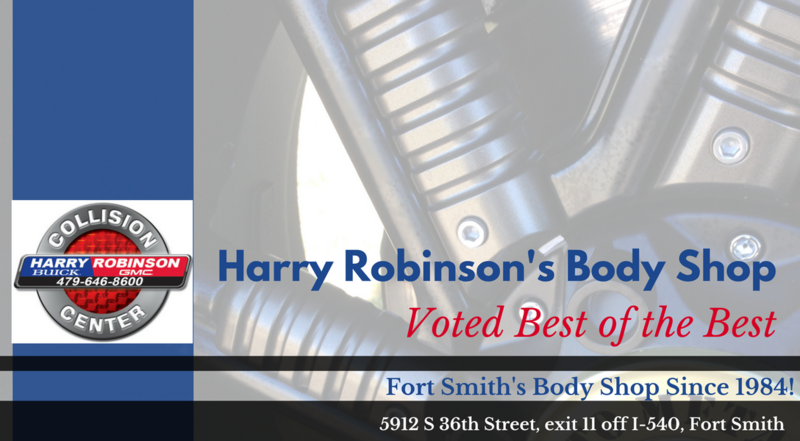 The warranty covers the specifically itemized repair performed by Harry Robinson Collision Center. 21. How long will it take to repair my vehicle? A. We strive to make the repairs as quickly as possible, because we understand it’s never easy to be without your vehicle. The repair time depends on the extent of damage, availability of parts, and insurance approval. Your estimator will give you an expected out-date providing we don’t run into any parts or supplement issues. 22. How will I know when my vehicle repair is completed? A. You will be notified when your vehicle is ready to be picked up. You can check your vehicle repair status on our website anytime. If you have questions or concerns during the repair process you can call or email your advisor.